The Weekly Run is The Salt Lake Tribune’s weekly newsletter about all things Utah Jazz. Subscribe here. 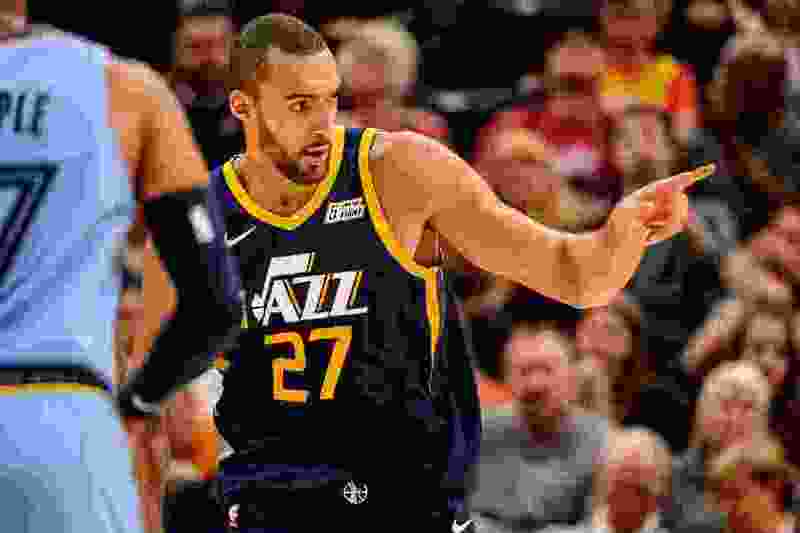 Monday was a bad night for the Jazz, without question, given that it yielded another poor defensive performance, a fourth consecutive defeat, and an 0-4 record at Vivint Smart Home Arena this season. Rudy Gobert, for one, is ready to leave it behind. “Every day’s a new day. Today, we have an opportunity to get our first win at home, so that’s what we’re focused on,” he said at Wednesday’s shootaround, hours before a game against the Dallas Mavericks. Asked how his demeanor is different in the midst of a four-game skid as opposed to, say, a four-game winning streak, the center said it was important for he and his teammates to remain upbeat. So, he hasn’t been grumpy then, one reporter asked. “What does that mean?” he replied, genuinely perplexed but smiling about the unfamiliar word. Told it equated to “upset,” the Frenchman quickly clarified. The game against Dallas begins at 7 p.m. and will be televised on AT&T SportsNet. With the Jazz commemorating the 40th season in franchise history, they’ll be wearing their purple throwback jerseys. • A couple of basketball players with ties to SLC threw a shoutout to the past via Twitter. Obviously, the game that’s on everyone’s minds is Friday’s game at The Viv against Gordon Hayward and the Boston Celtics. It’ll be his first game against his former team since leaving in free agency in the summer of 2017. After that, the Jazz embark on a five-game road trip, with stops in Memphis, Dallas, Philadelphia, Boston, and Indiana.